Long overdue, the US crude oil prices snapped a string of five down sessions, bouncing $0.56 higher to $102.84 a barrel. This came despite a stronger US dollar which usually puts pressure on energy prices. More likely, it could have been those bargain hunters who do not entertain the idea that crude oil could plunge into double digit territory just yet. Speculation that the Federal Reserve is still considering tapering as a possible approach, despite hinting it is still too soon for that, put gold prices under renewed downside pressure. The precious metal dropped $9.2 to $1,323.9. It remains to be seen whether better news on the economy will deliver further blows or, as long as Syria remains a 'down but not out' story, whether it will offer some sort of support at the current prices. A surprise 2.6 million barrel build in weekly crude oil stockpiles, against the 1 million barrel draw that markets had expected, was largely responsible for yesterday's $1.10 plunge in US crude. With oil demand on the defensive, energy investors will be assessing the chances of a test for support at the psychologically important $100 mark in the next few sessions. Amid heated negotiations regarding the US budget, it seems that CFD trading investors could feel an increasing risk of government shutdown. In turn, that sparked demand for a hedge against times of trouble and a safer place to park assets. Fortunately, gold usually provides just that, which could explain yesterday's $8.9 rally to $1,333. WTI crude finally ended its ongoing downturn, with oil futures rising by as much as $0.31 to $103.44 a barrel, a gain of 0.3%. And with speculation that US-Iranian relations are thawing and the threat of military action in Syria receding, the market has turned to good old supply and demand. A US government report is expected to show that oil inventories slid to an 18 month low last week, meaning that we may see prices rise. Gold retested the support just above the $1,300 mark, driven south by a stronger US dollar in early trading. However, the failure to cross below the aforementioned level brought in additional buying power, which managed to push for a rebound. The market finished the day with a $1.4 gain to $1,323.2 but the metal needs to find some clearer direction. 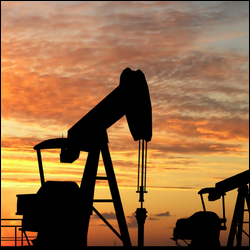 In commodities trading, US crude oil slumped for the third straight session, losing $1.50 to $103.34 per barrel. This is part of the process of discounting the danger premium represented by the potential Syrian conflict. As the US and Russia look set to solve the issue at the negotiation table, the downside pressure on energy prices will be hard to ignore. Gold halted a two-day decline on speculation that demand may strengthen before China's Golden week holiday as lower prices lure in the buyers. Gold rose by as much as 0.4% to $1,328.63, a gain of 48 points since the start of the play. However, gold's main direction will continue to come from clues about what the Fed may do with stimulus. It was more of the same news for the energy complex on Friday, with the likelihood of a military intervention against Syria receding. In turn, investors felt increasingly confident that the Middle Eastern oil supply is not going to be disrupted. If anything, there were reports that Libyan production is on the rise. So it was little surprise to see US crude prices dropping $0.88 to $104.82 a barrel. It did take too long for gold investors to turn pessimistic again regarding the precious metal market. Whilst the Fed's decision to keep the QE untouched offered some support mid-week, fresh speculation that tapering might still be in the cards for October has sparked a tumble of $40.3 to $1,325.6.